With the release of Windows Server 2016 came Windows Containers. This is not Docker-For-Windows which is still using a Linux based operating system to run containers, but running containers on Windows with a Windows kernel. As a bit of an excuse to dive into this new technology from Microsoft, I decided to try running the Neo4j Graph Database within a Windows Container. 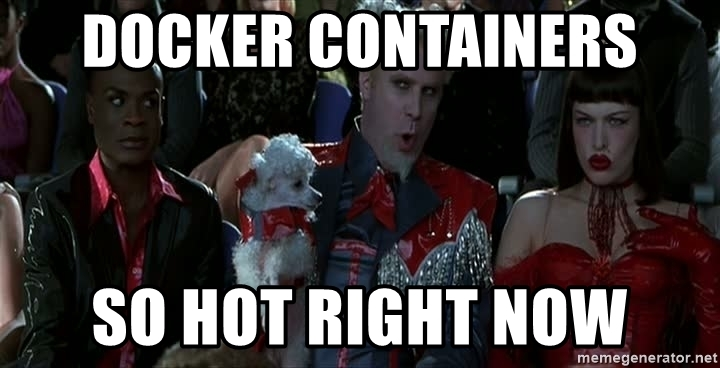 Neo4j already release official docker based images but as yet, there are no Windows based containers available. So what are Windows Containers? Windows Containers are just like their Linux based Containers, but run on Windows kernel. I tried installing Windows Containers on my local Windows 10 laptop, but given I already use a Beta version of the Docker for Windows application, I decided to go the less risky route of quickly creating a Server 2016 VM on my laptop using Hyper-V. Once I had a VM I merely followed the installation instructions by Microsoft at https://msdn.microsoft.com/en-us/virtualization/windowscontainers/deployment/deployment. I could then use the docker client on my laptop to access the docker host in the VM simply by setting the environment variable before doing any docker calls. The docker CLI is the same whether it is accessing a Windows or Linux based container host. I used the DockerFile from Neo4j as the basis for building a image for Windows, but instead used the microsoft/nanoserver as the base image. However I came across an issue. When running docker build it was choosing a network which did not have access to the internet thus I couldn’t download the required files from within the container. Fortunately this was an easy problem to solve. Using the powershell code in the Neo4j Chocolatey Packages as a base, I created a quick PowerShell script which downloaded and extracted a Neo4j Enterprise source Zip file and a Java JRE Tarball. I also added an entrypoint PowerShell script (docker-entrypoint.ps1) which is run when an image started. These were all placed into a context directory and could then be consumed by docker during a build. This script needs to be run before the docker image can be built. As stated earlier, it is responsible for downlading the Neo4j Enterprise and Java distributions. It also sets up the Dockerfile and entrypoint scripts. The base image is microsoft/nanoserver because, while there are some Windows Containers which already contain Java available on the Docker Hub, I wanted to build an image from scratch to better understand how they work. LABEL Description="Neo4j Enterprise" Vendor="Neo Technologies" Version="3.0.6"
# for when we will use a different network driver. As this container is based on Microsoft Nano server, it is running PowerShell Core inside the container. This entry point file somewhat resembles the docker-entrypoint.sh bash script used in the offical Neo4j Docker container. Creating a container was simple. Running a single image and then connecting to the Neo4j Browser was simple. Creating two images and getting them to form a Neo4j Cluster was a frustrating experience. But to be fair it was mainly my fault, not Neo4j’s or Windows Containters’. The default networking method in Windows Continers is to use a NAT based gateway. This means that the internal and external IP address of a Neo4j container are different. Unfortunately, in Neo4j HA, the configuration parameter used to control the HA server only has one setting: ha_host_coordination. This setting tells Neo4j which network interface to bind to when starting up, and the name of the server that other cluster members will use to contact it. Neo4j 3.1 addresses this issue and has different settings for binding and advertising interfaces. Unfortunately in a NAT setup the inside and outside addresses are different so I had to use a different network type. Fortunately Windows Containers also have a Transparent network type, which basically creates a virtual network adapter which connects to the hosts external interface. This can then be given an IP Address via DHCP or staticly assigned via Docker. Success, my container had an external IP address! And then tried the container on this new network, with a static IP of 192.168.200.100. WARNING: Image for service neo4j_1 was built because it did not already exist. To rebuild this image you must use `docker-compose build` or `docker-compose up --build`. neo4j_1_1  | 2016-12-04 04:33:03.634+0000 INFO  Started. One of the unexpected things with docker-compose is that all of the output from all three servers is aggregate so you can easily see what happens when a node joins the cluster. We can easily emulate a cluster node failure by stopping one of the containers. Once we finished with our containers, simply press Ctrl-C and docker-compose will stop all containers, and then docker-compose down will cleanup any created containers, volumes or networks. It will not remove images though. After a bit of a battle with networking, I can now quickly spin up a three node Neo4j cluster, with an arbiter instance, all on Windows and then destroy it easily when I’m done! Thanks to Ben Butler-Cole and Mark Needham for helping me out with some Neo4j issues.